A month ago I did a Facebook live with my friend Claudette – The Stepmom Coach to talk about her “Becoming A More Confident Stepmom” ecourse that was included in a bundle we were both participating in. 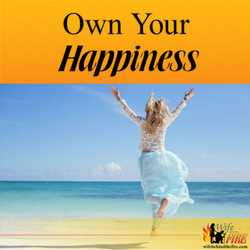 I know many of you FireWives are stepmoms and could use the confidence course and every bit of resources you can find on the topic. I’ve embedded the video here for you to watch and get to know Claudette and her self-study program a bit. 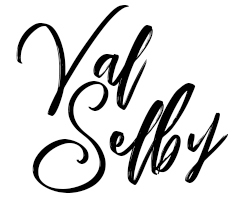 For Black Friday she’s running a sale on everything and I want to make sure you don’t miss out. The sale runs from November 22nd-30th. When you check out use the coupon code: BLACKFRIDAY2018 for 50% off. I’m going to give you a little info on each of the programs. I know it’s the holidays and we don’t generally think of buying ourselves things. But, consider how using one of her programs could improve your happiness in 2019. You could even ask your FF or a family member to purchase it for your Christmas present. Just send them the link to this page and they can choose what to get you. Imagine what your life would be like if you had no fear of failure as a stepmom…if you knew, beyond the shadow of a doubt that you could be happy within your stepfamily. 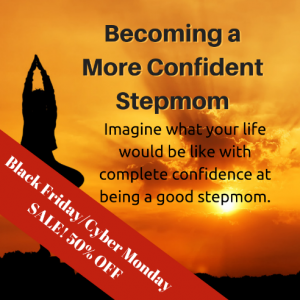 Imagine what your life would be like with complete confidence at being a good stepmom. If you want to bring an end to your struggles and start living a life of fulfillment and accomplishment…the life you were born to live…then this online self-study program is for you. This is the course we discussed in the video above. Click for more info. 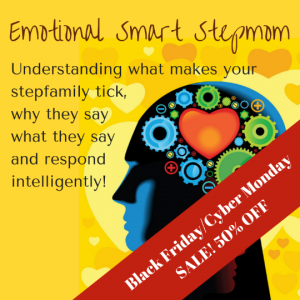 Stepfamily dynamics are often stressful, and that stress can have a negative impact on our relationships with our spouse, our stepkids and our health. 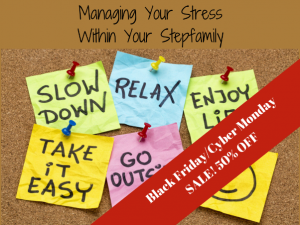 It’s important to find ways to eliminate as much stress as we can from our lives, in order to create a more fulfilling stepfamily. Find out more info about this self-study course. Understanding how emotions work gives you the advantage of knowing how to deal with people and their emotions, becoming aware of your thoughts and feelings and ways to manage your own emotions in all situations. As a stepparent, you are impacting and influencing your stepkids, whether they live with you full time, part time or not at all. Whatever you do or say is being recorded by those around you. The question is, are you having the impact you want to have, or are you getting less-than-desirable results? 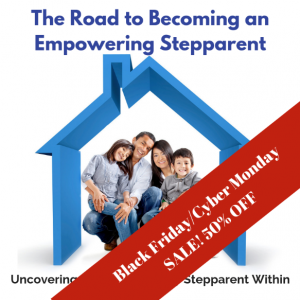 Click for more info on how you can be more empowered as a stepparent. Conflict is part of our lives but it doesn’t have to ruin it. 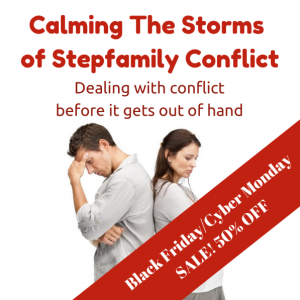 This program will help you as a stepparent to constructively and effectively deal with conflict in your stepfamily before it gets out of hand. Having tools at your disposal will help you weather the storm more effectively and with far less hurt feelings. Grab the tools now. A new way to create success as you explore the definition of success, learn how to harness your internal & external strengths to achieve your goals, & turn your new discoveries into tangible results. If you take one of Claudette’s courses, I’d love to hear your feedback on how it’s improved communication around your house. 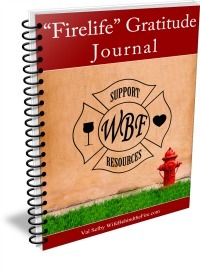 Blended families are always difficult, but adding in the firelife and them being gone a lot puts a whole new spin on things. Don’t forget, the sale is only until November 30th and use coupon code: BLACKFRIDAY2018 for your 50% off. Happiness is a choice. Live with no regrets. 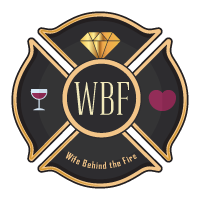 Sarcastically working through the craziness that is life as a FireWife! Hope you also join us on the social media accounts where we chat all night long! We can all use some help through the days alone on shift, drills and calls. Join the 30 days to a happier YOU challenge and kick some of that loneliness to the curb as you work on someone that is worth the work...YOU! The firelife is crazy and it's easy to get caught up in the negative. Get to work enjoying all that is wonderful about being a firewife. Wait, you BOTH work shift work?